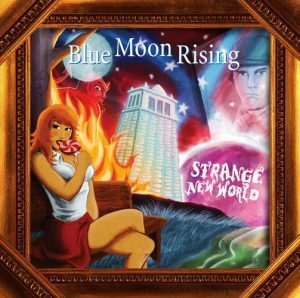 “STRANGE NEW WORLD” is Blue Moon Rising’s fifth career album and their first recording on Rural Rhythm Records. 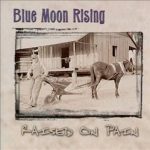 The project combines a very eclectic mix of new original material with West contributing 7 of the 13 tracks. Other writers include: Mike Dekle, Kevin Denney, Becky Buller, Jon Weisberger/Jeremy Garrett and Clint Wilson. 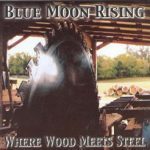 The songs on “STRANGE NEW WORLD” certainly showcase Blue Moon Rising’s range, versatility and maturity as it continually shifts between hard-core traditional bluegrass, blues, gospel, country and singer-songwriter influenced music. 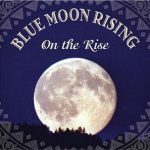 If one could paint a picture that captures the subjects and themes from songs like the peppy honky-tonk influenced kick-off track, “Time To Be Movin’ On,” the soulful blues influenced, “He’s All Around Us” and the haunting and beautiful Kevin Denney original, “My Sitting Window” the painting would represent a “STRANGE NEW WORLD” indeed!